Texas leads the nation with the most horses of any state with nearly a million horses (978,822). California comes in second with 698,345. There are almost 300,000 horse owners in Texas. The world’s horse population is estimated at 75 million. American Quarter Horses are America’s first breed and are famous for their quarter-mile sprints. They compete in a multitude of horse show competitions around the world and are in demand for horse racing, ranch work, rodeo, recreational riding, and many other activities. Identifiable characteristics of the breed are heavy muscling, sprinter’s speed, versatility, keen cow sense, and a gentle nature. 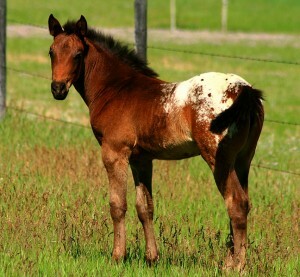 Coat colors of the Quarter Horse may be one of 16 common colors with white markings frequently seen on face and legs. Texas raises more Quarter Horses than any other state, with over 480,000 horses registered with the American Quarter Horse Association. The U.S. has nearly 3 million registered Quarter Horses. American Paint Horses were once wild horses that roamed the western deserts and plains. The Indians were the first to capture and use them. There are three patterns of Paint Horses: Overo, Tobiano, and Tovero. 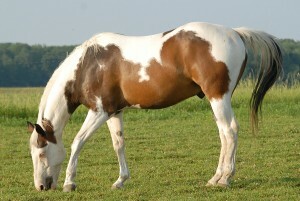 Each Paint Horse has a unique combination of white and any color of the equine spectrum. Paints are used in almost all equine activities such as: Western pleasure, halter, driving, reining, cutting, barrel racing, roping, jumping, horse racing, and ranching. The American Paint Horse Association has nearly 460,000 registered paint horses in the U.S., Texas being #1 in number of registered horses. Appaloosa Horses are descendants from Spanish explorers’ horses that passed through Texas. These horses were bred and refined by the Nez Perce and Palouse Indians of the Northwest. They are usually noticed and recognized because of their spots and splashes of color. Appaloosas excel in many disciplines including Western pleasure, working cow horse, horse racing, and dressage. The Appaloosa Horse Club is the international breed registry who has over 16,000 appaloosa horses registered in the U.S., Texas being #1 in number of Appaloosas. Arabians evolved in what is now known as Central Asia and the Middle East thousands of years ago. They are the oldest known riding horse. Its energy, intelligence, and gentle disposition allows riders to excel in English and Western disciplines, horse racing, and as a work horse. Arabians are marked by a distinctive dished profile; large, lustrous, wide-set eyes on a broad forehead; small, curved ears; and large, efficient nostrils. The American Horse Registry of America, Inc. has over 600,000 Arabian horses registered in the United States. 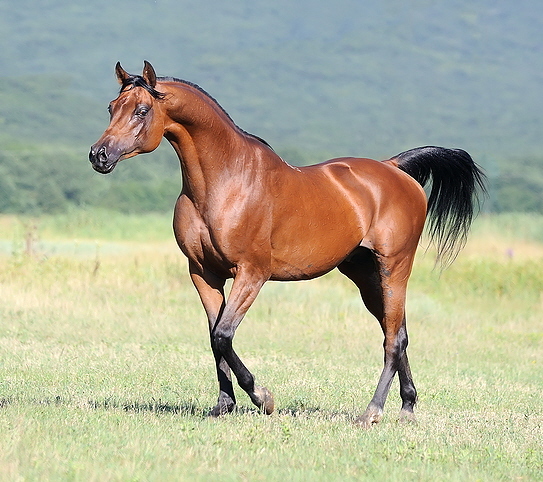 Texas ranks second with nearly 30,000 registered Arabian horses. Thoroughbreds were originally developed in England and are considered the supreme equine athlete. They are used primarily for horse racing, jumping, dressage, 3-day events and driving. Thoroughbreds usually have short, slim bodies and long, strong legs. Coat colors of Thoroughbreds are mostly solid with white markings frequently seen on both the face and legs. There are approximately 148,000 registered Thoroughbreds in Texas with Texas ranking second in number of Thoroughbred Breeding Stallions. 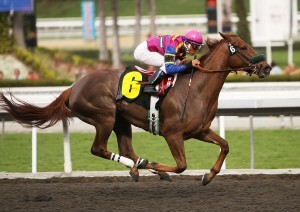 There are about 1.3 million Thoroughbreds registered in the U.S.
Sire – A horse’s father. Foal – A horse, either male of female, that is under one year old. Colt – A male horse under four years old. Filly – A female horse under four years old. Mare – A female horse four years or older. Stallion – A male horse four year or older. Gelding – A castrated male horse (cannot reproduce). Green – A horse which is broken, but not fully trained. Gait – However fast or slow a horse is moving. The four natural paces for the horse are the walk, trot, cantor and gallop. Hand – A unit of measure equal to four inches, used especially for the height of horses. Farrier – A person who makes horseshoes and shoes horses. Gestation – The period between conception and foaling, normally about 11 months. A competition for horses ridden by jockeys within a given area and over a prescribed distance, under the control of appointed officials. Thoroughbreds are the most popular horse breed in the racing industry, but other breeds also race on Texas racetracks such as: Quarter Horses, Paint Horses, Arabians, and Appaloosas. There are currently 5 racetracks in Texas and over 950,000 industry participants. An equine-assisted activity that improves balance, joint mobility, coordination, muscle tone and posture. It can ease symptoms of a wide variety of disabilities including brain injuries, multiple sclerosis, hearing or visual impairments, muscular dystrophy, cerebral palsy, learning disabilities, Down syndrome, and cardiovascular disease. Plus, it’s great for helping students improve motor skills, self-esteem, concentration and problem-solving abilities. 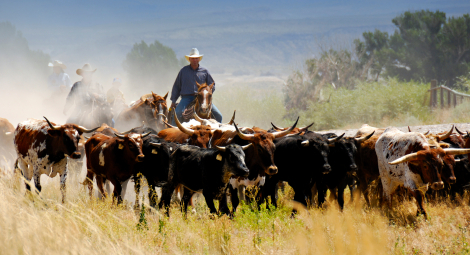 Cattle have been raised and herded in Texas by men on horseback since the Spanish conquistadors introduced cows and horses to the area around 1541. Today they are still used on ranches to gather and work cattle, check fences, and various other labor intensive jobs. A good ranch horse must be versatile and perform activities such as herding, cutting, roping, and reining. They should have keen cow sense, high endurance, and a gentle disposition. Most of the competitive sports performed on horseback today are based on activities that are performed on a working ranch. A popular pastime that strengthens your body and mind while exploring the great outdoors on the back of your horse. Almost 4 million horses are used for recreation–more than any other use. Trail riding is an ever growing industry with many of our state and federal parks, forests, and wilderness areas becoming available to be explored on the back of a horse for a unique adventure. It has also become a potential income for landowners who may want to diversify their ranching operation by allowing trail riders to come in and ride and experience the country. You can tell how old a horse is by his teeth. Horses spend 85 to 90 percent of their lives on their feet. A 1,000 pound mare produces four gallons of milk daily for her foal. 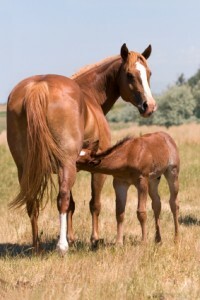 A new born foal can stand up within an hour of being born. Some horses can run 45 miles per hour. Horses can drink up to 10 gallons of water a day. There are over 350 different breeds of horses and ponies around the world.